Uptown Eyecare has a wonderful selection of eyeglass frames including Rayban, Gucci, Tom Ford, Kate Spade, Tiffany & Co., Klik, Coco Song, Polo, Costa, Oakley, Lily Pulitzer, BeBe, Dragon, Ovvo, Tory Burch, Blackfin, OVVO, Article One, T.C. Charton, Calvin Klein, Nike, Wiley X, Flexon, Fendi, Lacoste, L.A.M.B, GX, Jimmy Choo, Salvatore Ferragamo, SALT and many more! We are always looking for new and unique lines of eyewear to meet the needs of our patients that require a level of fashion, style, and functionality. We can also special order many frames based on your style needs, including different colors and sizes. We have a highly trained and qualified team of opticians and optical technicians. Tana Leidigh, has over 30 years of experience and is sure to find just the perfect fit, style, and comfort level you desire. Ashley Wyld is our front office manager and has been at Uptown Eyecare since the opening of the Hunters Creek location. Lindsay Browne is our lab manager and ensures quality. 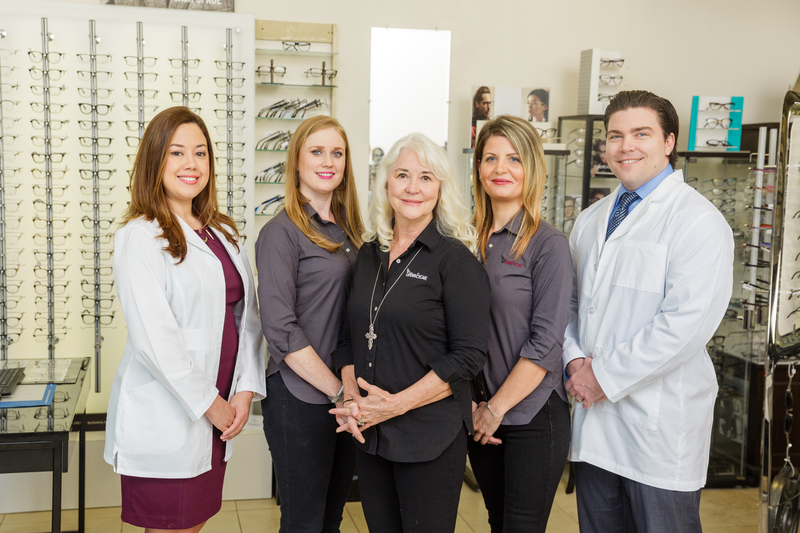 Our team strives for customer satisfaction, an enjoyable experience while visiting our optical, and delivering quality products in a timely fashion.